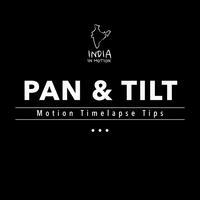 I did a time-lapse project for Royal Enfield in the summer of 2015. 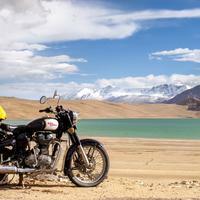 The brief was to capture the adventure and excitement of touring around Ladakh on one of their motorcycles. As assignments go, it was pretty awesome and unexpected. I imagined doing such projects a few years down the line with more experience under my belt. I did not imagine it happening so soon though. And definitely not for my first project. I was incredibly lucky to be noticed by the right people at the right time. 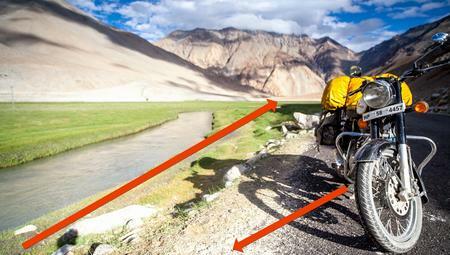 I would be riding solo across Ladakh for a month, covering as many locations as possible. 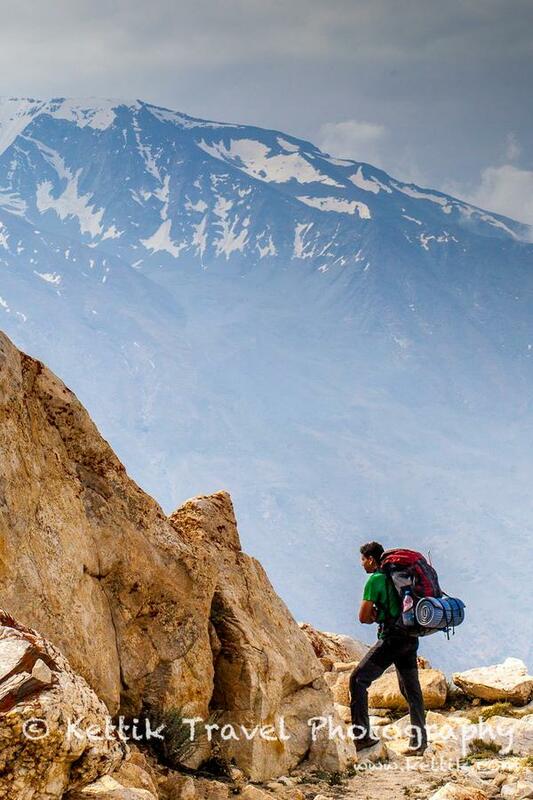 And I would be doing this between July and August, the wettest month in Ladakh. Bad weather would mean missed shooting opportunities. And my fixed schedule would not give me the cushion to wait around till the weather clears. Another concern was the reliability of my bike. 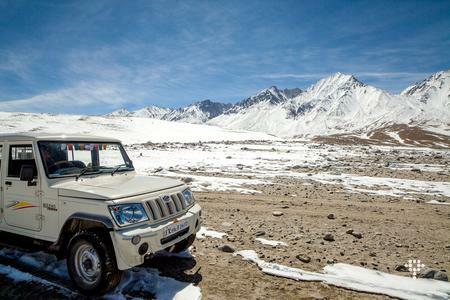 Any breakdown or a puncture in the remote parts of Ladakh could land me in some serious trouble. 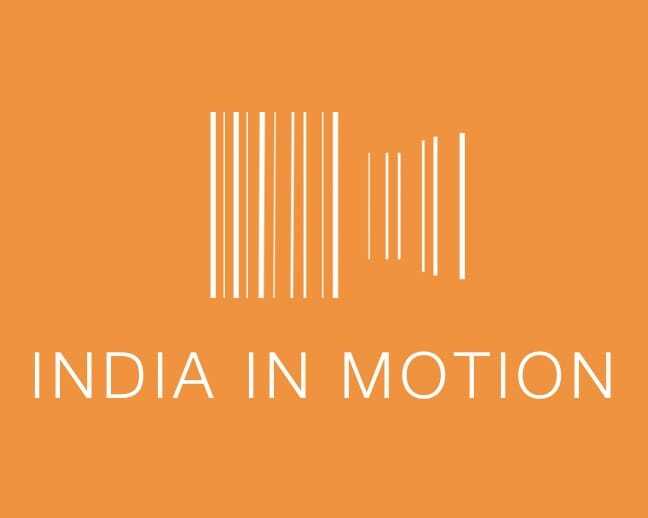 Read on to see how I fared on the trip and the various lessons I learnt along the way. The shoot was all about the bike. After all it was the star of the show. 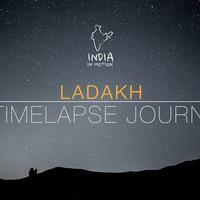 My job was to ride around Ladakh and shoot time-lapse videos of the bike at those locations. 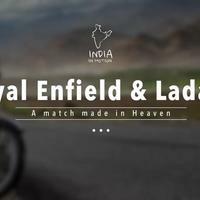 So the bike had to have the 'right look' to represent the Royal Enfield brand and more importantly it had to be reliable and not break down in the middle of nowhere. All the more important since I would be riding alone for most of the shoot. 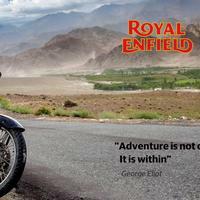 I left it to Royal Enfield to provide me with the 'right' bike that satisfied their needs (branding) and mine (reliability). 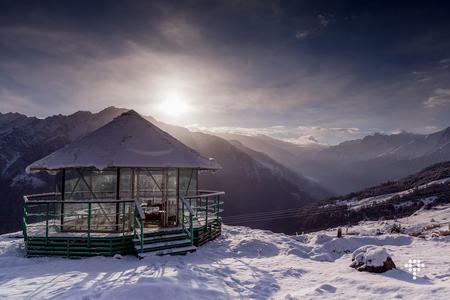 I was living in Manali at that time. They had planned to send me one of their bikes from Delhi initially, but their plans changed later and I was asked pick out a bike from Planet Himalaya. 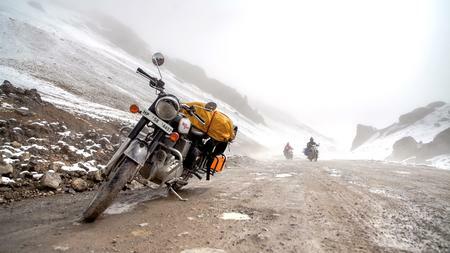 A local adventure company in Manali which arranges logistics for Royal Enfield and their riders. 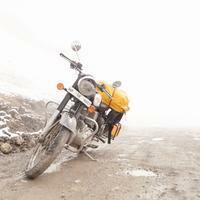 The bike I got from Planet Himalaya was a 2012 model Classic 500. 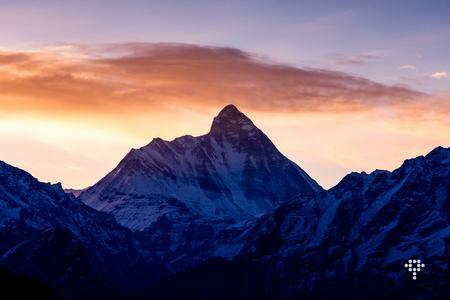 It had seen a lot of action in the Himalayas and showed its age with many dents and scratches. More importantly the original Royal Enfield logo and artwork had been replaced by stickers of the touring companies which rented this bike over the years. All their bikes were in similar condition and this left me in a difficult position as I could not do a shoot for Royal Enfield without any of their branding on the bike. 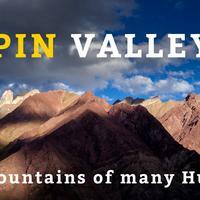 We took the bike to a sticker shop in Manali. For 300Rs they painstakingly recreated the original Royal Enfield artwork on the fuel tank, removed all the 3rd party logos from the bike and hid the major scratches with plain black stickers. I was blown away by the quality of their work. Take a look at the photos above and you could never tell that the artwork on it is not original! 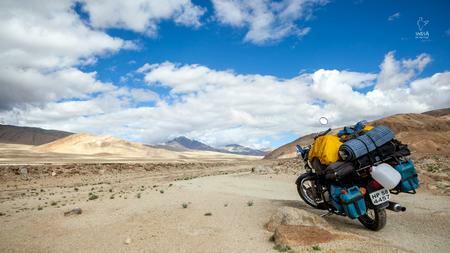 The next day I loaded all my gear on to the bike and set off towards Leh. I barely went a few hundred meters and the bike started developing a terrible wobble. I took it back to Planet Himalaya. Their mechanic could feel the wobble, but he blamed it on my luggage and said that the weight distribution was off. I just couldn't believe it. My 15 year old CBZ (a 150cc bike) carried the exact same luggage the previous year without any of the wobbling. 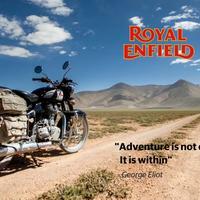 They told me that it is a problem with the Royal Enfield bikes and that there was nothing much they could do. They even took a second opinion from some experienced riders like Vir Nakai who also felt that it was a weight distribution issue. I took their suggestion to redistribute the weight. Moving my (heavy) camera bag from the rear to the front (hanging in front of my chest and resting on the fuel tank). It reduced the wobble by a tiny bit but not enough to make a difference. The first couple of days were extremely uncomfortable. The bike would wobble whenever the road was smooth, especially on the downhill sections. Luckily for me, the Leh highway has more rough patches than smooth. The longer I rode the bike the more I got used to the wobble. My arms got stronger and it became easier and easier for me to keep the bike steady during the wobbles. After a few days I barely noticed it anymore. With my confidence growing in the bike, I enjoyed the ride immensely. I started taking more risks. Veering off the main roads and following the dirt tracks of nomadic herdsmen who take their flocks to the hidden pastures in Ladakh. It was so much fun and I discovered some new places on this ride. 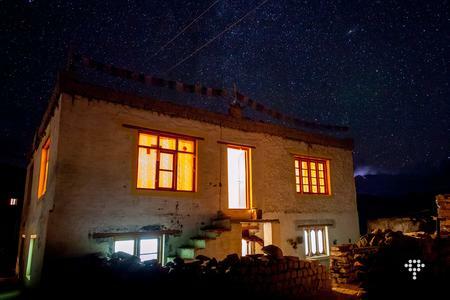 Places like Kyun Tso which I never would have been able to visit on my CBZ or when I was taking the buses and hitchhiking around Ladakh. And to update on the wobble issue. It turned out to be a problem with the bearings in the rear wheel. A mechanic in Leh caught it immediately and my ride was a lot smoother after the bearings were replaced. I enjoy traveling alone in the mountains. It helps me be in the moment and be free of the attachments that weigh me down in my regular life back in the plains. It is a bit like meditation, but without the effort if you know what I mean. But it has its downsides as well. For years, I was shooting most of my landscapes without any subject in them and sometimes the photos felt a bit empty to me. For this shoot I finally had a subject to work with. Albeit an inanimate one. Nevertheless I was looking forward to the challenge. Weighted down by luggage, it was very tough for me to put the bike on the centre stand. Especially during the first few days when I was not yet used to the bike. I had to resort to using the side stand which made the bike lean very close the ground in an unnatural manner. A good number of my initial time-lapse clips were ruined by this awkward positioning of the bike. With practice I was able to put the centre stand more easily (sometimes by removing my backpack and then putting it back on) and position the bike the way I wanted it to look in my frames. This and the wobble issue taught me never to start a critical project without fully familiarising myself with the equipment I would be using in the project. I like to point my readers to a great article on Landscape composition rules (for painters). This has had a major influence on my photography and I keep referring back to it to pick up a few new tips now and then. One of those tips is for a composition to have a visual flow which leads a viewer's gaze into the image and have it linger there. So I tried to position the bike in such a way that it guides the viewer into the frame of the image and not lead it outside. You can see this technique working really well in some of the example pictures shown at the beginning of this section. The Yellow arrows in the pictures show the visual path of the composition and the position of the bike always arguments it. Ofcourse, I broke this rule a few times and positioned the bike pointing towards the camera and leading the viewers gaze out of the frame. I did this either to hide the rear carrier or just to try out a different composition. But the resulting clips were not very impressive. You can see the example stills above with the red arrows indicating visual path which prematurely leads the viewer out of the frame. For the shoot I used my Zeiss 21mm ZE and Zeiss 50mm f1.4ZE prime lenses. I also carried a Samyang 14mm and a Canon 135mm prime lens but I rarely used those lenses for my videos. With the 21mm wide angle lens there is a lot of depth and space in the image and the mountains seem small and far away in relation to the bike in the foreground. Using longer lenses will also compress this space making objects in the background appear bigger and closer to the subject in the foreground. I enjoyed the frames shot with my 50mm lens over the 21mm lens and I feel that I had missed a trick by not using my other long lens. 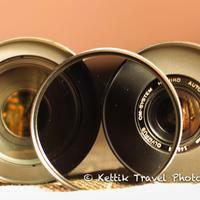 The 135mm prime from Canon. 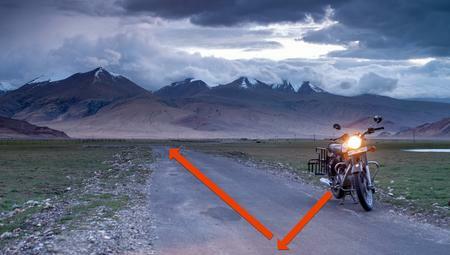 The longer focal length might have given me some impressive frames with the mountains seemingly towering over the bike. Something for me to keep in mind for my next shoot. 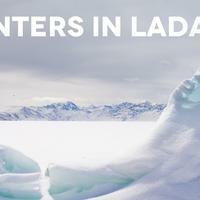 The weather was a constant challenge on this shoot. 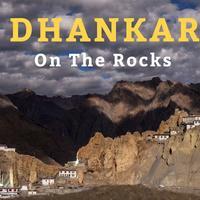 Right from the day I crossed into Ladakh till the last week or so. Clear skies were rare. Rain was a given on most evenings and the mornings were no better either. 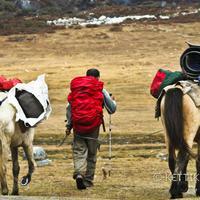 I got a taste of things to come the moment I crossed over into Ladakh from Sarchu. 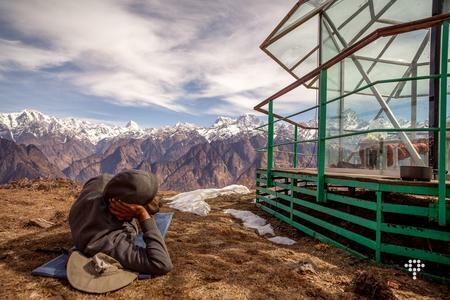 My late afternoon lunch stop at the Whiskey Nullah dhaba turned into an overnight stay due to a thunderstorm that continued well into the night. 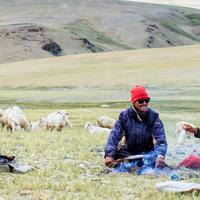 The thunderstorms continued for the next 3 to 4 days when I camped at More plains, Tsokar and the Tso Kiagar lakes. The rains would start every evening at around 5pm and last for a good 4 to 5 hours. My nights at the Tsokar lake were especially scary with thunderstorms raging around me for hours. The lightning strikes felt so close that I was that my tent would get hit. There were no trees or houses near me. My tent and my bike were the tallest structures for miles making them prime targets for a lightning strike. I was not sure whether to stay put inside my tent or go out into the open and crouch low to the ground. 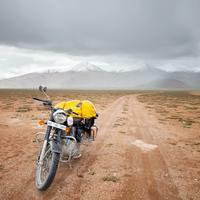 It was comforting to have the bike nearby as I knew that it would attract the lightning strike away from my tent. 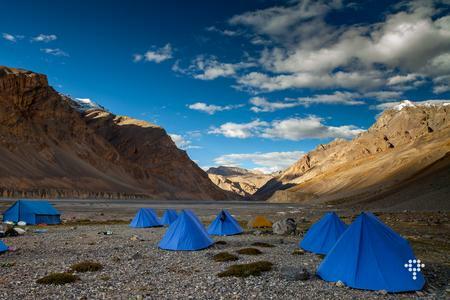 Nevertheless, I slept curled up like a ball keeping my body away from the aluminium poles of the tent. Strangely though, I slept well during these stormy nights and thankfully my tent did not leak. It sounds like a cool adventure now, but I was genuinely scared when the storms were raging. 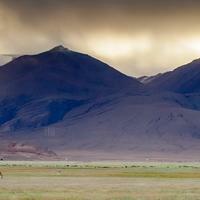 Fast forward a couple of weeks and I was returning to Leh after a shoot at the Hemis and Stakna villages. It had rained a little in the evening but nothing to suggest that something was amiss. 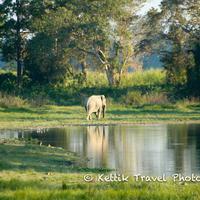 As I neared Thiksey I saw a line of vehicles stopped in front of what looked like a puddle of water. A few cars were crossing it. I was about to attempt the crossing myself when someone stopped me and asked me to take a second look at the water. It was no puddle but a small stream flowing across the road. A flash flood was flowing down from the Saboo village above Thiksey and it was getting stronger by the minute. I would have been in serious trouble had I attempted the foolish crossing. 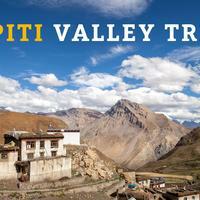 I took an alternate route to safely reach Leh but the excitement for the day were not over. The owners of my guesthouse were nervous. 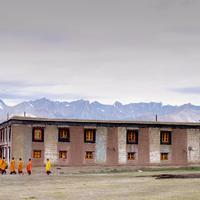 More storms were predicted during the night and they were worried that Leh might be bit by flash floods during the night. Memories of 2010 are still fresh around here. So we all went to Shanti Stupa, which located on a small hillock should be safe from any flash floods. Many other people have gathered there as well to wait out the storm which never really arrived. 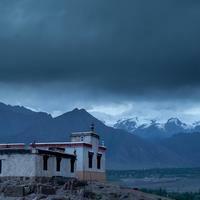 The rains continued on and off for the next few days and inflicted lot of damage around Ladakh. 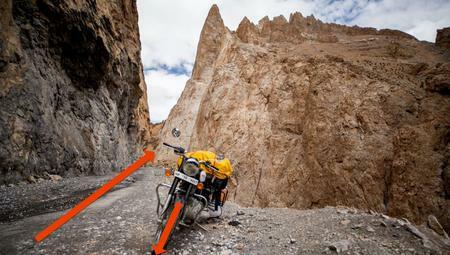 Flash floods washed away the roads in many parts of Ladakh. The Leh-Manali highway was blocked for a few days and more importantly the road from Upshi towards Chumathang and Hanle was washed away and would take a few months to be repaired. The wet weather had both its positives and the negatives. On the positive side, the changing weather provided some dramatic scenes for my videos. The rainbows and the play of the shadows and light on the mountains were always a treat to watch. But overall, most days were cloudy and dull. And the nights were no different. The weather was so unpredictable that I had to shoot my videos whenever the skies were clear. 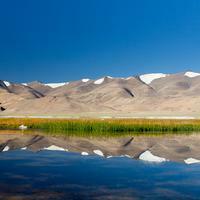 I could not wait around for the right light like I did during my previous trip to Ladakh. 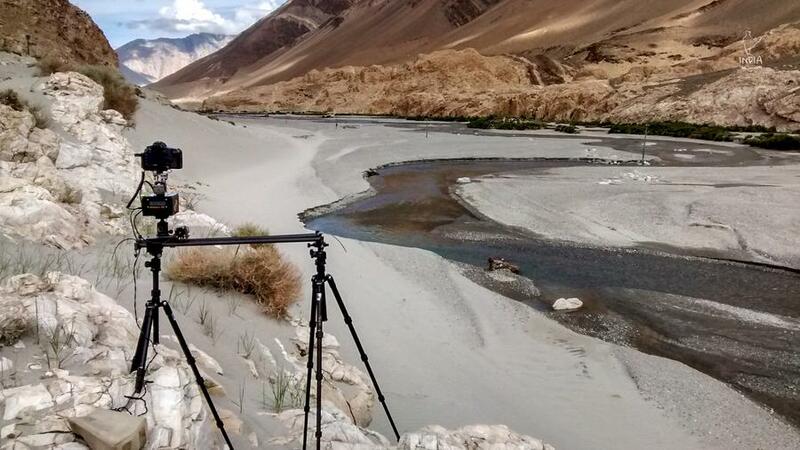 As a result, many clips from the shoot do not have that special magic that we all associate with Ladakh. In retrospect, I should have postponed the shoot by a month to get the best possible weather. Something to keep in mind for the next time a project like this comes my way. I shoot the footage on 3 CFs cards with a combined capacity of 100GB. These cards were regularly backed up to 2 different 1TB hard drives whenever I came across a power outlet. This scheme worked well for the most part. 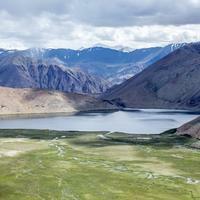 There was one especially long leg of the shoot where me and my friends rode from Leh to Hanle through the Pangong lake. I managed to fill all my CF cards on this leg. 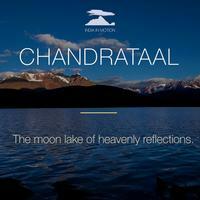 On reaching Hanle, I spent many hours backing up my images before the power was cut (every night around 11pm). My friends wanted to copy some of their stuff as well. So in all that confusion, I missed backing up a few a time-lapse sequences. Sequences like the ones you see here. Of all the mishaps that happened on the shoot this was one which I could have easily avoided. So it was a tough lesson for me to learn. To always double and triple check if my data has been backed up before deleting it from the CF cards. Talking about other mishaps. 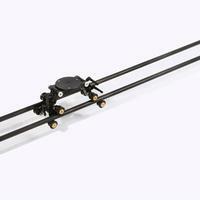 One of my carbon fibre tripods fell off my bike with the beautiful Acratech GP-S ballhead attached to it. I backtracked and searched for over an hour without any luck. Such a waste but still it did not hurt as much as the footage that I inadvertently deleted. I enjoy traveling alone to remote places. 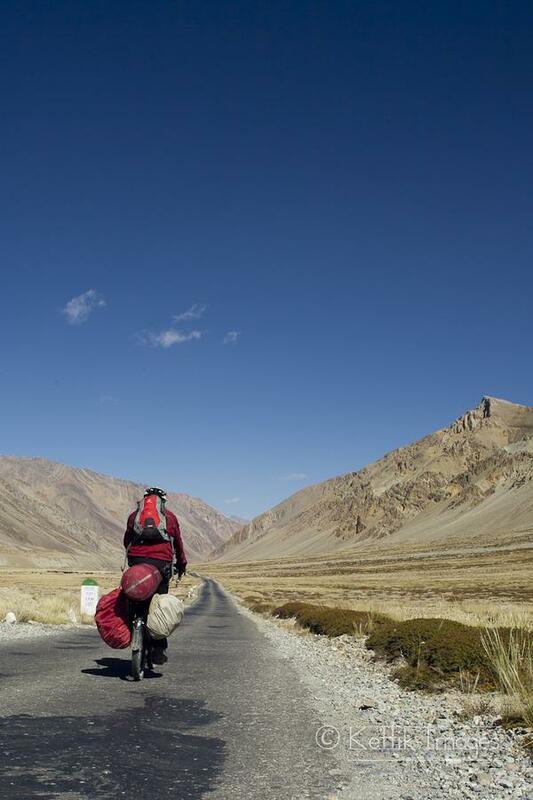 I have cycled and trekked alone around Ladakh a few times before. 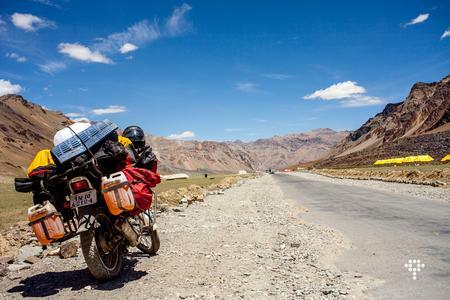 And I had even ridden around Ladakh the previous year (2014) on my 15 year old beaten up Hero Honda CBZ. So I had no issues doing this shoot alone. I knew that there were risks of the bike breaking down or getting a puncture. But my slow riding style should mitigate most of those risks. I like to say that the slower you travel the more enjoyable the experience. And this philosophy has the added benefit of keeping you out of trouble as well. 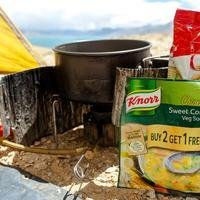 And even if a puncture or breakdown did happen, I was prepared to camp and wait till help arrived. Thankfully I was not troubled by either of those things. However I was troubled by the numerous water crossings along the route. These streams can be tricky, especially the ones with stones and boulders. The bike could get stuck between the stones and it would be hard to get it moving again. Especially if you are alone. Through sheer luck and some advance planning (crossing the bad streams early in the day) - I was able to negotiate them without getting stuck , except at one place. And thankfully I was not alone during that time. My friends joined me for one leg of the ride. 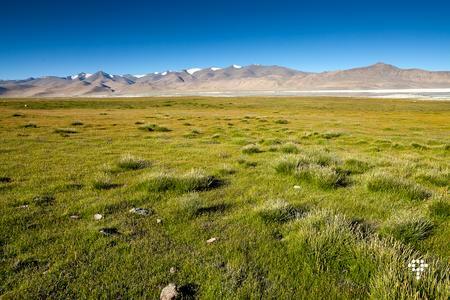 From Leh to Pangong lake and onwards to Hanle via Chushul and Tsaga La. The Tsaga La route was unknown to me and it threw up a few challenges. At Chusul the locals warned us about the water crossings before Tsaga La. We crossed 3 big streams on the route, one worse than the other. The 3rd stream just before the pass was the toughest. It was the one place on my whole trip that my bike got stuck in the middle of the stream and had to be pushed. I don't think I could have crossed that stream alone. There is definitely some value in traveling in groups, although if given an option I would choose to travel alone again 99 times out of 100. 35 days it took me. 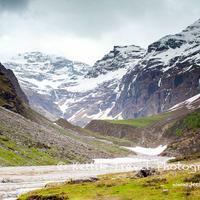 From Manali to Manali to shoot all the footage. I could not execute a few ideas and compositions I had planned but over all I was quite happy with the footage I shot. Capturing great footage is just one half of the project though. The next step was to edit all the footage together into a compelling set of videos which would delight and enthral its viewers. Sadly, this is where I seem to have slipped. I was quite happy with the final set of videos. But the Youtube viewership numbers tell a different story. As I write this, the view counts for the videos are around 5000 each which is just not good enough. 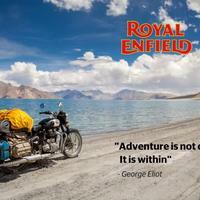 Especially since the videos were released on Royal Enfield's channel which is over 30,000 subscribers. This has come as a good wake up call for me. And I'am now actively looking at ways to improve my editing and storytelling skills. With time I should get better at this as well.. So hopefully you can look forward to more compelling videos from me in the future. 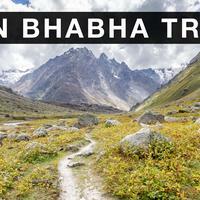 Trekking guide for the Rupin Pass trek. Route details, logistics and more. 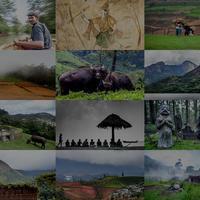 List of wildlife volunteering programs across India.. 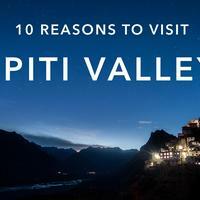 The Rupin Pass Trek : A dance with my inner demons..
₹ 1000 Korzok to Kibber : Parang La Trek (D..
Kettik is a free and open platform for travelers to discover and share new travel experiences. Join Us.